Update: Shark, the person responsible for Grooveshark.io, emailed TechRadar to give us an update on how things are going at what he called "the re-incarnation of Grooveshark." Shark revealed the new site has had to move hosting companies four times. The team has brought back the playlists option, Shark informed TechRadar. Another feature in the works is turning Grooveshark into an open source project, Shark said. According to him, the idea came from the many developers who have reached out over the last two days to help with the site. 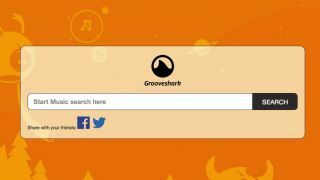 "We're sure that together with the help of talented music loving devs from all over the world, Grooveshark will end up becoming way better and stronger than it ever was," Shark wrote. While Shark wasn't able to answer specific questions we sent, he said, "Once everything I wrote here is up and running and Grooveshark is grooving again and everything is cool," Shark will be able to. Sounds like Grooveshark.io is showing no signs of slowing down. Grooveshark as we know it is dead, but a group has apparently reincarnated the music streaming service, albeit in a very murky manner. Here's the deal: Four days ago, Grooveshark.com shut down after coming face-to-face with $736 million in copyright violation damages. Violate the terms of its settlement, and Grooveshark would need to cough up $75 million. Grooveshark.com still has the company's announcement/apology message detailing the circumstances of its shut down and no sign of its user-uploaded tunes. But head over to Grooveshark.io, and it's like seeing a ghost. Jacob Siegal at BGR got an email from someone calling himself "Shark." Shark was "connected" to Grooveshark a few years ago, according to another email sent to The Verge. Shark revealed that along with an assembled team, he essentially cloned Grooveshark.com over to Grooveshark.io. The .io site is completely operational: users can go there right now to search, stream and download tracks, which include the very copyright-protected files that put the kibosh on Grooveshark.com. The site quasi-lives again because Shark said he "started backing up all the content on the website when I started suspecting that Grooveshark's demise [was] close." Shark claims to have backed up 90% of Grooveshark.com's goods and is currently working on locking up the final percentage. The idea is to recreate Grooveshark's UI on Grooveshark.io, but how long the site will be up and running remains to be seen. While it looks to cover itself with a righteous disclaimer page and claims to always show the page where a stream is indexed, we didn't find any instances of this during our own song and artist searches. Given Grooveshark.com's decisive shutdown after years of legal battles, it's impossible not to question how long Grooveshark.io can last. Still, Shark had this to say to BGR about keeping the clone site up: "We have all the servers/domains infrastructure in place, it's going to be a roller coaster and we're ready for it."